NV-214A-M Video Transceiver is a passive (non-amplified) device that allows the transmission of real-time monochrome or color video over Unshielded Twisted-Pair (UTP) telephone wire. Baseband (composite) signals of any type are supported. The passive NV-214A-M has a 9″ mini-coax mini lead which allows in-camera enclosure mounting in most dome cameras and a greater number of mounting options in general at both ends of the system. It is capable of delivering a fully equalized signal to the DVR when used with any Active NVT Receiver, yet is compatible with all of NVT‘s passive products for applications under 750ft (225m). 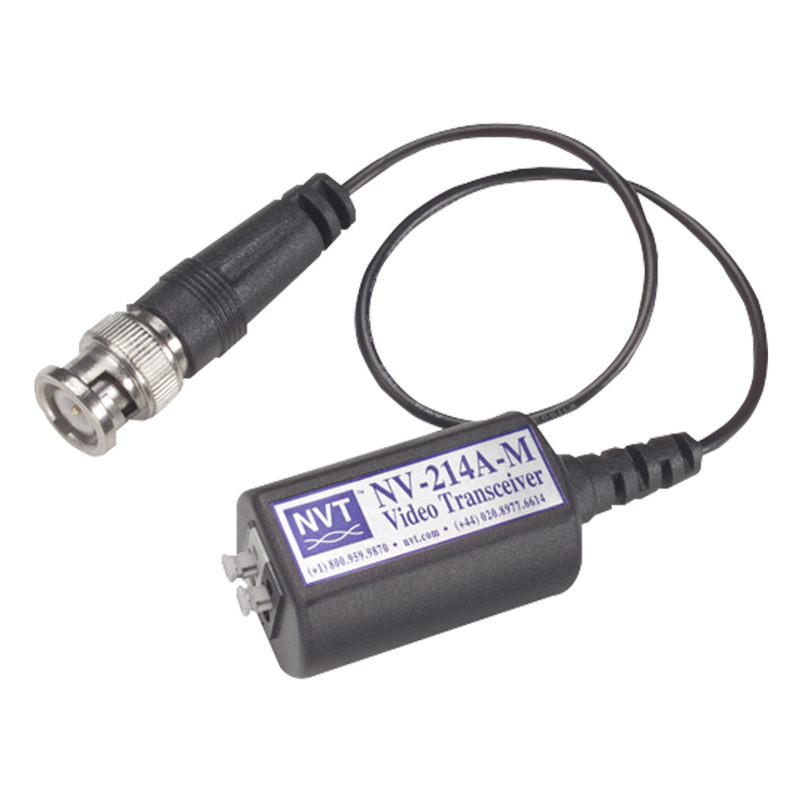 The NV-214A-M Video Transceiver also incorporates improved transient protection that eliminates the need for a ground screw. The unparalleled interference rejection and low emissions of the NV-214A-M allow video signals to co-exist in the same wire bundle as telephone, datacom, or low-voltage power circuits. This allows the use of a shared or existing cable plant. Mounting Bracket Mounting Bracket for NV-214A-M pack of 8 each.